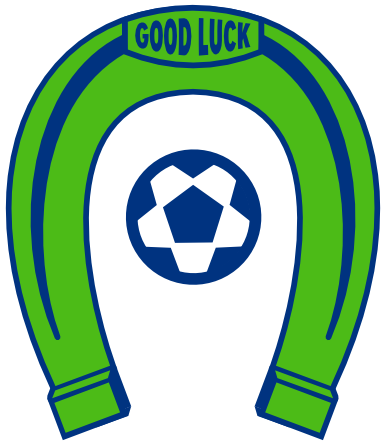 OLYMPIA, Wash. – The Oly Town Artesians return home on Saturday, December 17th to take on Sporting Everett FC at The Pavilion at The Evergreen State College. 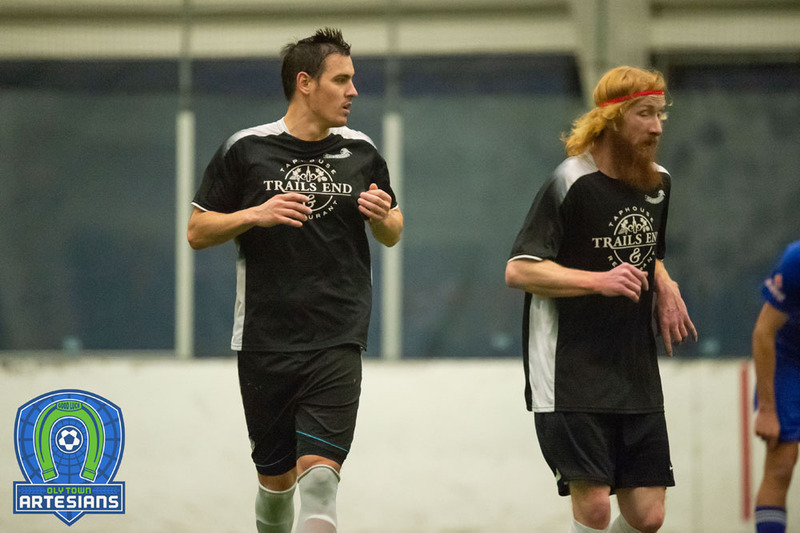 The two teams battled to a 7-7 draw in their last meeting on November 19th in Everett and both teams sit at 1-1-1 with four points in the early going of the Western Indoor Soccer League season. First kick at The Pavilion is set for 6:00 PM, doors open at 5:15. 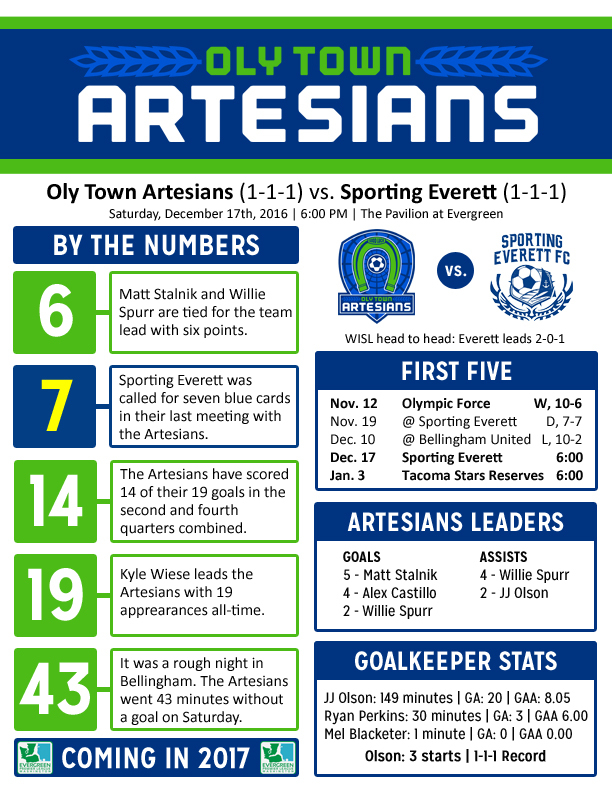 The Artesians made a furious comeback when they last faced Sporting Everett right before the Thanksgiving break. Willie Spurr scored the equalizer with 12 seconds left after Everett had taken the lead 30 seconds earlier. Oly trailed 5-3 going into the fourth quarter before scoring four goals to pick up the point. Alex Castillo tallied a hat trick in the draw and the Artesians converted five goals on seven blue cards committed by Everett. Matt Stalnik leads the scoring for the Artesians this season with five goals and Castillo is hot on his trail with six. Spurr has scored twice in two games but has also contributed four assists and is tied with Stalnik for the team lead in points. Oly is coming off their lowest scoring game of the season, a rusty 10-2 loss in Bellingham. Goalkeeper JJ Olson tallied two assists in the loss. 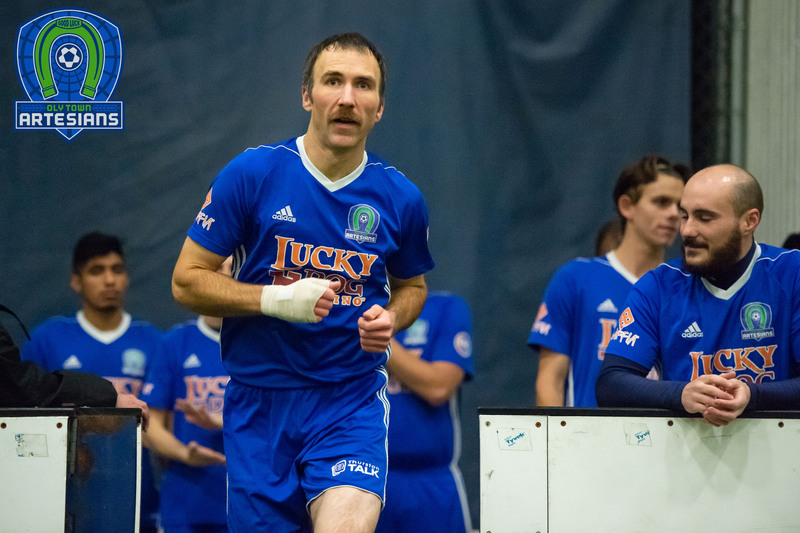 Sporting Everett is coming off of a 9-5 upset of the Olympic Force last Saturday night to go with a draw to the Artesians and a loss to their rival, the Snohomish Skyhawks. 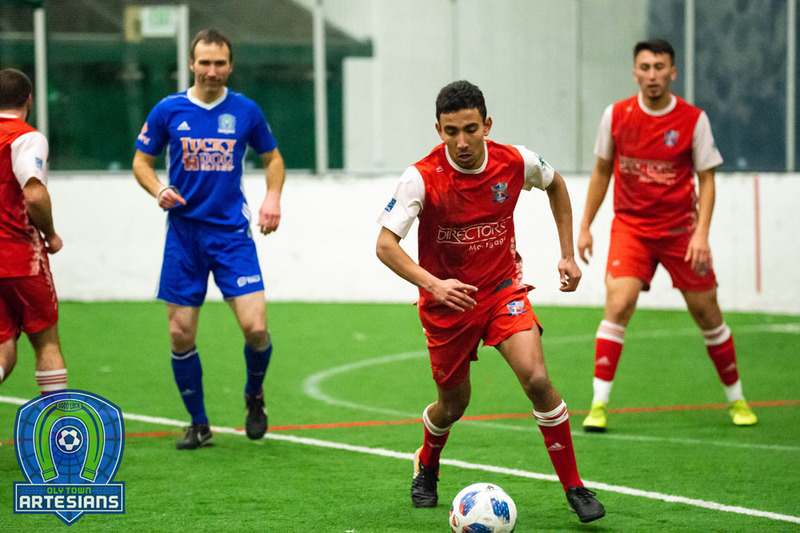 Gustavo Rodrigues leads Everett with six goals. The Artesians will be celebrating the holiday season with Christmas music, caroling, coloring pages, prizes and more throughout the game. Tickets are available at the door and are $8 for adults and $5 for kids 5-12 years old. Children under five are free.